SRINAGAR (July 3, 2013): The digitization of J&K Academy of Art, Culture & Languages’ rich collection of manuscripts, paintings and archival photographs, started on May 22, 2013, is going on smoothly with 1.25 lakh folios of important manuscripts having been digitized so far. After taking a review of the ongoing project here today, Secretary Academy, Khalid Bashir Ahmad, said that the work was progressing well and till date 410 manuscripts, comprising 1.25 lakh folios, from a total of over 600 manuscripts in the Academy’s collection at Srinagar, have been digitized. He described the digitization project as very significant step towards preservation of the State’s rich cultural heritage. 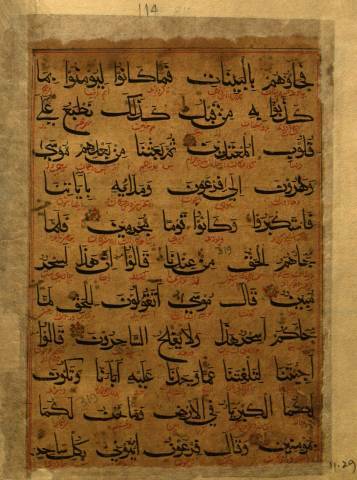 Some of the rare manuscripts digitized so far include the 12th century copy of Holy Quran calligraphed by Fateh Ullah Kashmiri which precedes by about a century the widely held belief on the earliest presence of Muslims in Kashmir, Shahnama Firdousi, Mahabharat in Persian, Bhagwat Puran, Shiv Puran, Zakhheratul Mulook, Mathnavi Moulana Room, Bostaan e Saadi, Sikandar Naama and Deewaan e Haafiz. After completing the digitization of manuscripts, work will start on the rich collection of paintings, miniatures and archival photographs available with the Academy at its Srinagar, Jammu and Leh offices.